MGM Grand Las Vegas Hotel & Casino will play host to Tiger’s Poker Night for another year. The charity poker tournament is set to take place on May 19 and will feature popular poker and non-poker names who will be raising money for underserved students to provide them with the opportunity to make great accomplishments in their chosen fields. This year, too, the event will be hosted by none other but record-breaking WSOP gold bracelet winner Phil Hellmuth. The famed poker pro emceed the event in 2016, as well. However, Hellmuth will not be the only poker-related celebrity to appear at MGM Grand for the charity event. All-time money list leader Daniel Negreanu, 2012 WSOP $1,000,000 The Big One for ONE DROP winner Antonio Esfandiari, female poker pro Maria Ho, and WPT’s very own Lynn Gilmartin, Mike Sexton, and Vince Van Patten will also take part in the charity festivities. Here it is important to note that the Tiger Woods Foundation has partnered with the World Poker Tour to host together the charity tournament. As mentioned above, the poker event will take place on May 19. 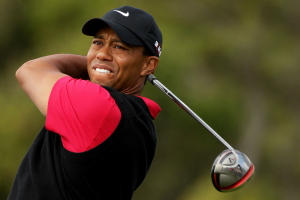 The money to be raised will benefit Tiger Woods’ college access programs. The poker tournament will be a high roller one and will feature an $11,000 buy-in fee. Players who decide to venture into the game will have the chance to win fantastic prizes, particularly those who make it through the final table. Tiger’s Poker Night will be part of the 19th annual Tiger Jam. Friday night’s poker tournament will be only one of the several events included on the schedule of this year’s charity initiative. Few select participants will be allowed access to a private Q&A session with golf star Tiger Woods himself. The Shadow Creek golf course will then welcome guests for a special golf outing, yet another exclusive opportunity for golf fans. On Saturday, guests will be able to take part in a golf tournament at the above-mentioned course. A private concert will be held on Saturday evening with MGM Grand as the host venue. There will be a VIP reception in the hours before the concert with a silent and live auction displaying items of great value. A post-concert party will put an end to a thrilling evening. The Tiger Woods Foundation was established by Tiger Woods and his father Earl Woods back in 1996. Over the past two decades, the foundation has raised over $19 million from various charity initiatives, with thousands of people being involved in those.